Labor of love for my 8 year old boy. He loves oysters and has not had his fill yet. Maybe he needs all that zinc. 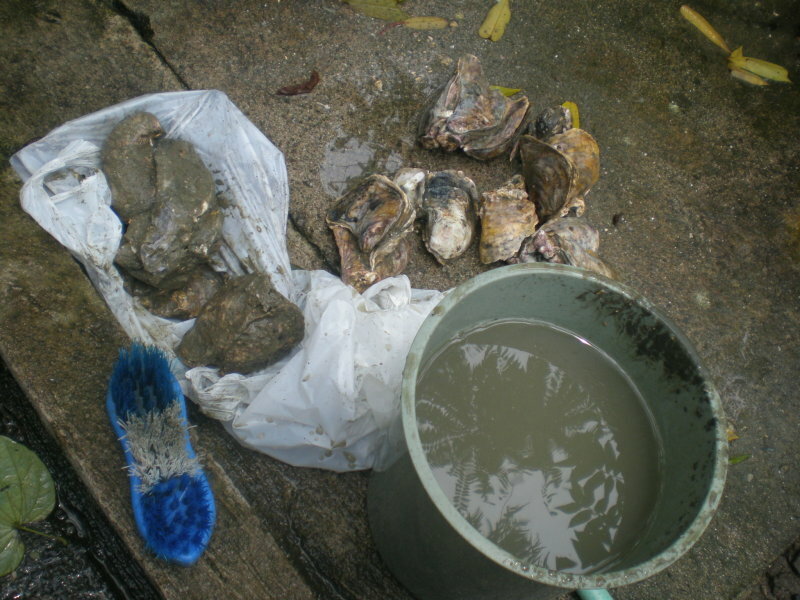 So I bought live oysters from the market and prepared it all for him this lunch time. 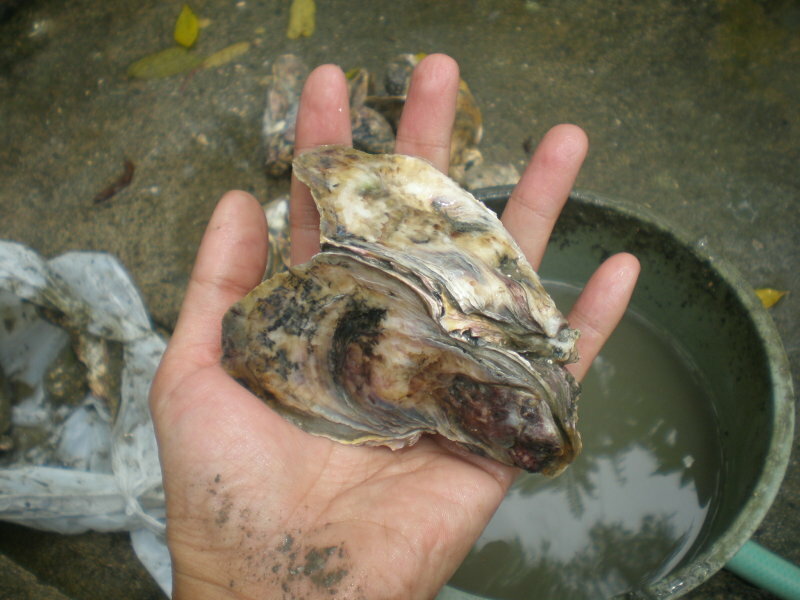 At the same time I took pictures and a short video demonstrating how to open live oysters. 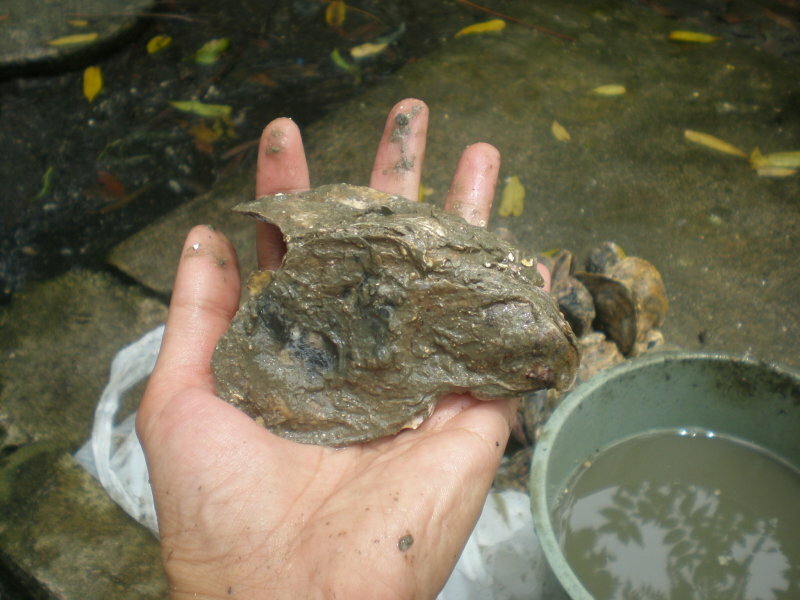 The oysters I buy at the wet market are still full of mud. I have to ask next time why they don’t clean them up before they sell them to us. 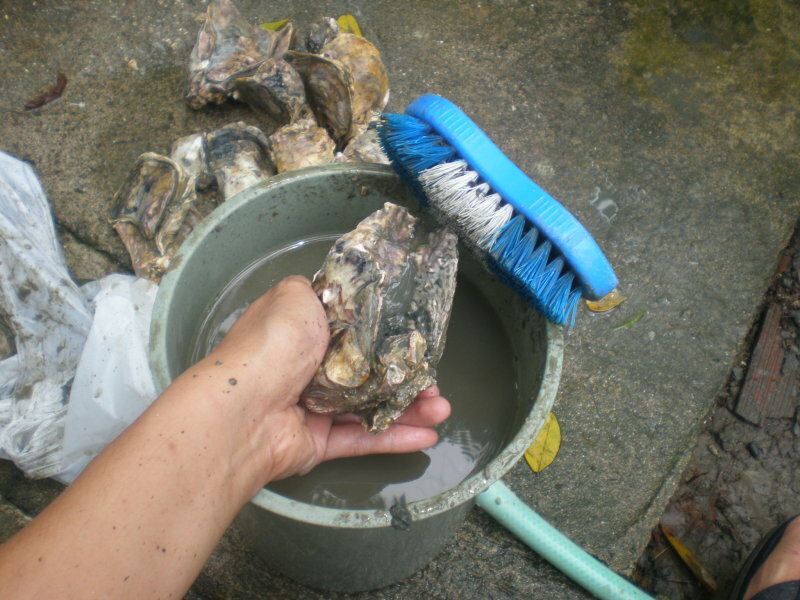 So you get your muddy live oyster and brush it well while dipping it in the pail of water. Use a pail so you don’t waste running water via a faucet. Save water! 1. 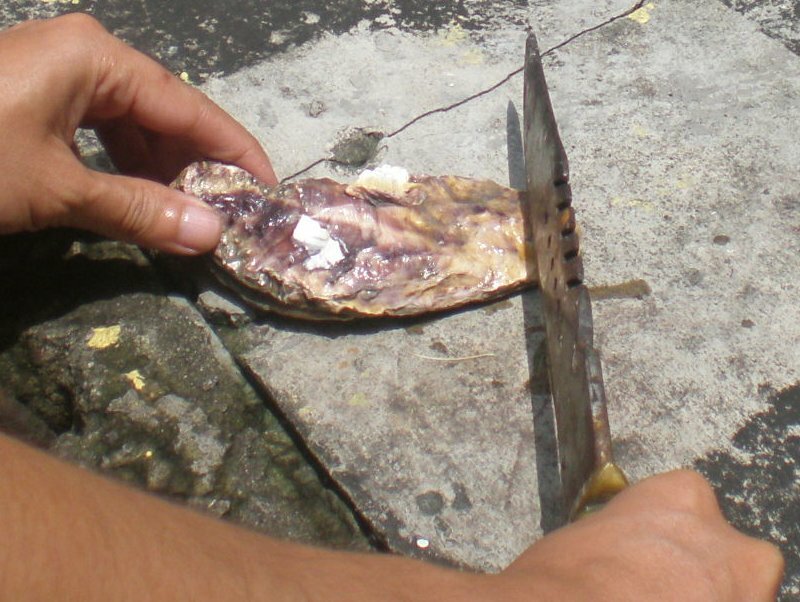 Use your knife and chip away at the edge of an oyster exposing its gap, opening. 2. 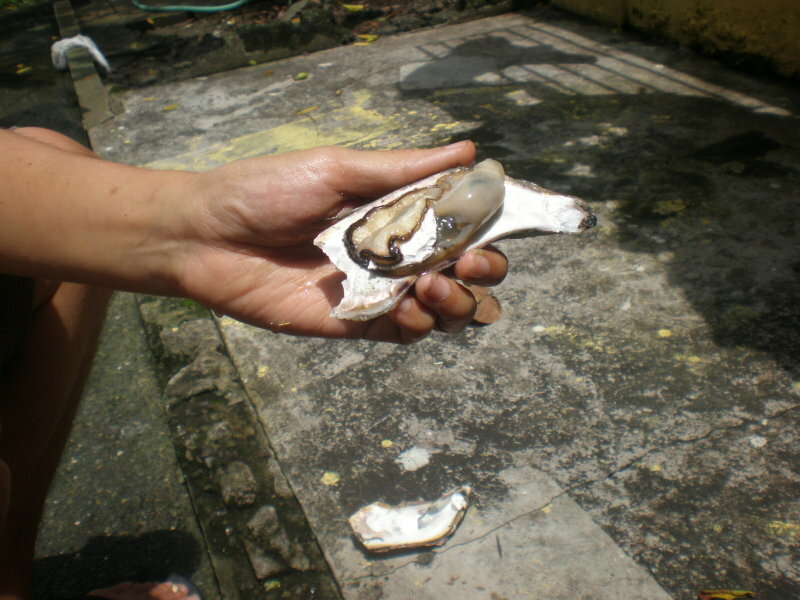 Use your knife and jam it in and twist it to open the oyster. Ta dahh… the oyster is now open and ready to eat! Raw of course. You want that zinc to be bio available don’t you? For the germ phobic, just dip your oyster in some organic vinegar or squeeze a lemon on top.